For 25 years, PMA28’s aim has been to maintain its competitiveness by encouraging investment and by expanding its skills and range of plants. PMA28 was established. The company concentrated on producing 6 species of plants and signed its first contract with a pharmaceutical laboratory. At this stage the cultivated area covered 35,000 m2. Redevelopment of the buildings. The first harvests showed that more storage space was needed. The company also invested in installing a dryer. with the Val de Loire farmers, whose plots of sandy soil were able to improve conditions for production and for pulling up roots. Setting up a "Trading" activity in order to respond to the requirements of pharmaceutical and cosmetic laboratories who were looking for an increasingly wide range of plants, sometimes only harvested in other parts of the world. Expansion into Eastern Europe. Opened a unit in Eastern Europe in order to make sure that our clients had plants whose harvesting and cropping quality was guaranteed by our know-how. A new storage unit. In May 2011, PMA28 invested in the premises occupied by an old engineering company, in the industrial area of Marboué. PMA28’s storage capacity rose to 4,500 m2. 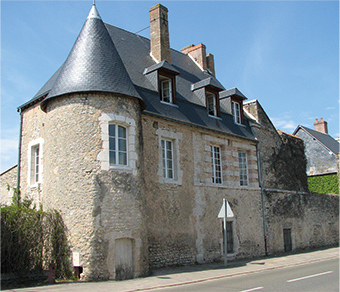 PMA28 moved to new premises in Châteaudun. The new buildings occupied 10,000 m², allowing it to continue to develop its operations. Building of a new drying unit : It permits to increase our cultivation areas, and so move on more than 10 tons of dried raw material per day. New optical sorting machine : Thanks to this system, we can make colorimetric sorting, and offer products without foreign elements, sorted seeds or petals with the same color, depending on your request. ECO2 decontamination rooms : Insects, larvas and eggs control system. Used for eradicate and guaranty the absence of pests in the raw materials. We can also use this method as service provision. Investment and improvement of the uprooting machine and washing machine to optimize yields and roots quality.